Wisdom teeth generally begin to form in your pre-teen years. 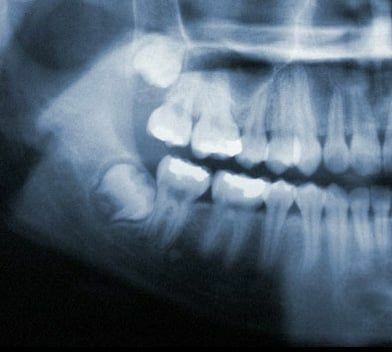 By late teen years, the crown of the wisdom teeth will begin to erupt through the gums if there is adequate room. By mid twenties, your wisdom teeth will either be able to fully erupt or will have become impacted. Early removal of wisdom teeth makes the procedure easier for the patient to tolerate and promotes faster healing afterwards. By your early forties, the wisdom teeth roots have become fully anchored to the jawbone and if required to be extracted, will be much harder and will need more time to heal.